A former State Department official has come forward with a shocking – and damning – allegation about the Benghazi scandal. Sharyl Attkisson at The Daily Signal broke the story today. As the House Select Committee on Benghazi prepares for its first hearing this week, a former State Department diplomat is coming forward with a startling allegation: Hillary Clinton confidants were part of an operation to “separate” damaging documents before they were turned over to the Accountability Review Board investigating security lapses surrounding the Sept. 11, 2012, terrorist attacks on the U.S. mission in Benghazi, Libya. According to former Deputy Assistant Secretary Raymond Maxwell, the after-hours session took place over a weekend in a basement operations-type center at State Department headquarters in Washington, D.C. This is the first time Maxwell has publicly come forward with the story. At the time, Maxwell was a leader in the State Department’s Bureau of Near Eastern Affairs, which was charged with collecting emails and documents relevant to the Benghazi probe. “I was not invited to that after-hours endeavor, but I heard about it and decided to check it out on a Sunday afternoon,” Maxwell says. It is important to remember that Maxwell was one of the four State Department officials who was disciplined – and later cleared – for the devastating security lapses leading up to the attacks. Maxwell told Attkisson that the weekend document-scrubbing session was held in the basement of the State Department’s headquarters in Foggy Bottom. When he arrived, Maxwell saw boxes and stacks of documents. “She told me, ‘Ray, we are to go through these stacks and pull out anything that might put anybody in the [Near Eastern Affairs] front office or the seventh floor in a bad light,’” says Maxwell. He says “seventh floor” was State Department shorthand for then-Secretary of State Clinton and her principal advisers. Shortly after he arrived, Maxwell said, two high-ranking State Department officials walked in. Chaffetz said that Maxwell claimed Clinton’s chief of staff and deputy chief of staff were overseeing the document operation, which allegedly took place on a weekend in a basement office of the State Department. “What they were looking for is anything that made them look bad. That’s the way it was described to us,” Chaffetz said. Chaffetz said such documents were said to be removed, so that Congress and the Accountability Review Board — the board probing security lapses as well as the attack’s aftermath — would not see them. Chaffetz described Maxwell’s account as “consistent” all this time. The congressman said he is speaking publicly about Maxwell’s allegations because Maxwell himself has gone public with them. Chaffetz named the two Hillary Clinton confidants who allegedly were present. One was Cheryl Mills, Clinton’s chief of staff and a former White House counsel who defended President Bill Clinton during his impeachment trial. The other was Deputy Chief of Staff Jake Sullivan. Maxwell says the office director and an intern moved into a small office where they looked through some papers that included pre-attack telegrams and cables between the U.S. embassy in Tripoli and State Department headquarters. After a short time, Maxwell says he decided to leave. “I didn’t feel good about it,” he says. 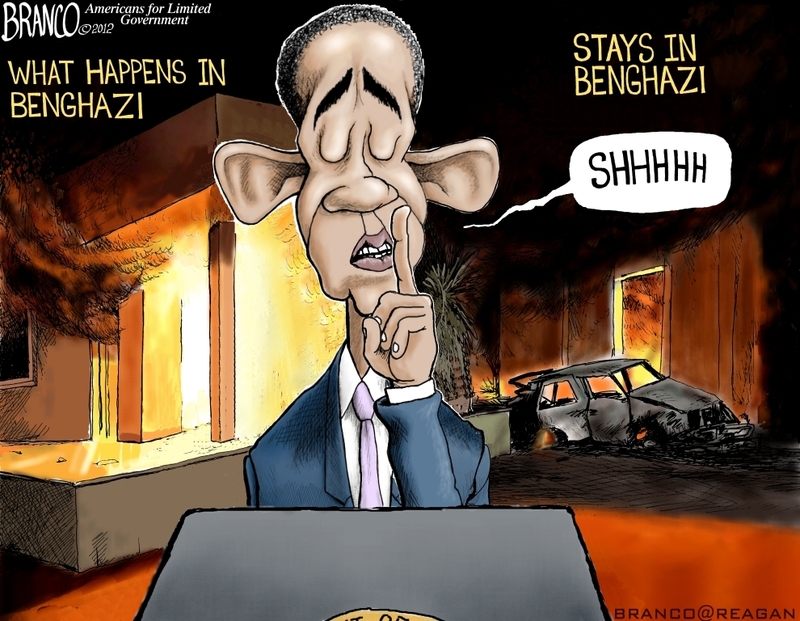 The Accountability Review Board (ARB) was allegedly granted full access to everyone and everything needed – including all documents – during its October 2012 investigation of the Benghazi attacks. But Maxwell says significant documents could not have made it to the ARB. He also criticized the ARB as “anything but independent,” and cited co-chairman Admiral Mike Mullen’s statement before Congress that he had consulted Clinton chief of Staff Cheryl Mills over the phone to give her insider advice after the interviewing potential congressional witnesses. “The ARB inquiry was, at best, a shoddily executed attempt at damage control, both in [State Dept. Headquarters in ] Foggy Bottom and on Capitol Hill,” said Maxwell. This week, the House Select Committee on Benghazi will hold its first hearing.